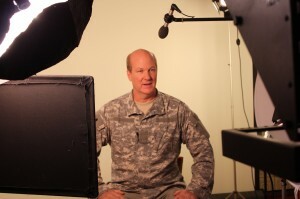 Geomatrix Productions has produced a series of role-modeling video segments for use in a suicide prevention smart phone app for service members, veterans, and their families. This unique tool will be published by The Guidance Group, Military Community Awareness Division. People who are feeling suicidal, as well as people who know someone who is suicidal will be directed to the app, and encouraged to reach out to someone who can help. The Operation Reach Out app will be available later this year and will work on both the iPhone and Android platforms. In addition to the videos, the app will contain a specialized help center, and a resource section so that help will be just a touch screen away.